Type business: Full Time Professional Photographer My photographic style: I love to capture candid moments, either at weddings or events. I also do a lot of studio work, and often take my studio lighting out on location. My greatest strengths: I have worked with people all my life. Before becoming a professional photographer, I owned and ran a nightclub and I still enjoy the parts of my job that involve being at busy, lively events. Another strength is that I don't put limits on my time when I'm working with people. If there are things happening at an event or wedding, then I will still be there, even into the wee hours. At the end of the day, I became a photographer because I love taking photos and that's not something that will ever changed. I have been in photography: I first picked up a camera over twenty years ago and as soon as I looked through the lens, I was hooked. Over time, it has developed from a passion and a hobby into a job, with professional training and a professional qualification along the way. I have now been working as a professional photographer for a number of years slowly building up my business. How I got started in photography: I started out using a film camera and setting up my own darkroom at home. These days, my camera kit and the techniques that I use have radically changed. I love the control and flexibility that digital photography offers. My photographic skills: Light and lighting fascinates me. Together with composition and catching the moment, it's at the heart of every great photo. Because of my interest in it, I am experienced at using all kinds of lighting, from studio strobes, to hot shoe flash units off camera. Sometimes, though, all you need for a truly stunning photo is natural light streaming through a window. 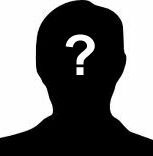 My personality: I am very relaxed, easy going and approachable and I never feel that anything is too much trouble. Geographic areas I cover: I live in Brighton, East Sussex. Most of my work is in the South East, but I also currently have weddings booked in the Somerset countryside, in Milton Keynes and even in Germany! I would always be happy to consider any area. Venues I frequently attend: I love old venues, especially country manors with lots of outside space. I also love water so any venue with a river or lake nearby, or that is by the sea, always appeals to me. I found inspiration from: Although he specializes in wildlife photography, I have always been inspired by Andy Rouse. These days, I look to photographers like Jeff Ashcough, Crash Taylor, Kevin Wilson and Joe Mcnally for their inspirational work in wedding photography and lighting effects more generally. Success in photography: I have a BTEC Level 3 Diploma in Photography that I completed in 2010. I achieved distinction level in all five modules. Photographic training: As well as my BTEC qualification, I have also attended a number of professional photographic training courses including, for example, a short course focusing on wedding photography offered by the Royal Photographic Society. My interests outside photography: I was into Tae-kwon-do for many years, achieving a black tag. I love to run now when ever I can. Most of my time though is taken up with anything that is photography related. Major events: The birth of my three children, Daniel, Kristie and Joel. Buying a nightclub at 23 years old. Meeting my partner Sophie and looking forward to our wedding day in August - where someone else will be taking the photos! 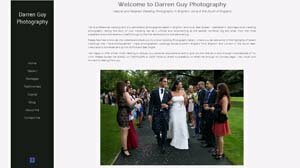 Testimonials: What a great luxury to have Darren Guy as our wedding photographer! Every detail was considered and taken care of, from taking candid shots at the rehearsal dinner to delivering all the fabulous photos just two weeks after the big day. Our celebration was so enhanced by Darren's presence and talents. He was naturally attentive, sensitive and courteous throughout the wedding day, making all the guests feel as comfortable and relaxed as the bride and groom. As well as beautiful formal shots of the wedding party, ceremony and all the family groups we asked for, Darren also captured spontaneous moments of fun and hilarity over the course of the day's celebrations, including the reception lunch and garden party in the evening. I have received so many compliments to pass on to him about his brilliant work. Thank you for giving us such beautiful and stylish memories of our wedding day! Darren was brilliant at making us feel relaxed right from the start. He helped us plan which shots we wanted and advised us what would work. Each photo captured the essence of the day and we are over the moon with the beautiful album. Our family and guests have all commented on how well Darren worked throughout the day, he was so polite and patient with everyone. It was a pleasure having someone so relaxed as it helped us enjoy the day more. We are so delighted with our wedding photographs. Not only were you and your team a pleasure to have around at our wedding, but you have captured everything to perfection - and given us the most amazing wedding photographs - they are so much more than we ever hoped for! There is not one special moment that you did not capture brilliantly. All the emotions of the day come across in your wonderful images, together with all the little details of the wedding, and many moments that our guests enjoyed that we weren't aware of on the day. Seeing our wedding photographs was like being there all over again, but in slow motion - and it is so wonderful for us to have such beautiful images to keep forever. Thank you. Why I like the SWPP: I like the fact that the SWPP is one of the most recognized societies for photography. It gives you a great sense of belonging and professional achievement when you know what it takes to have their logo on your website. Tagline: "You don't take a photograph. You ask, quietly, to borrow it" Future plans: To become a top Wedding Photographer!